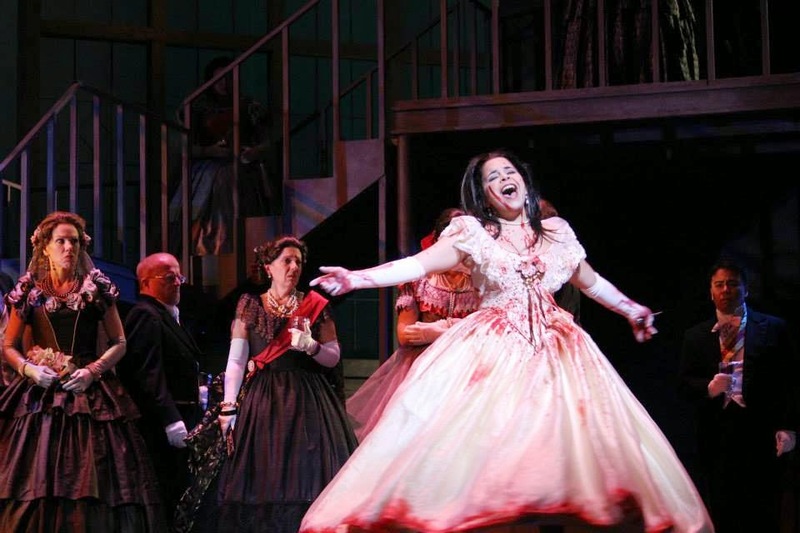 The month of April has almost come and gone and with it was Edmonton Opera's production of Lucia di Lammermoor. Other than my occasional updates, which you can see in the slideshow social media compilation below, my blogging presence was non-existent. A reason I didn't provide any additional blog content was because I was fighting through a series of sicknesses these past three weeks. What began as seasonal allergies resulted in uncontrollable post-nasal drip, initiating viral laryngitis and an upper respiratory tract infection. No amount of nasal saline rinses and steroid nasal sprays were equipped to combat my body's response to the allergens present during this Spring thaw. "Like any pain, though, if your throat is hurting, don’t mask the problem by using numbing spray or another band-aid. Your body is trying to tell you something and if you silence it, you could injure yourself further. Know your body. I’m all for throat coat tea, ginger tea, lemon water, whatever–If you say it helps you feel better. I am against using any of that to hide pain so you can perform. If you are not giving your body time to heal, you’ll end up with a bigger problem." Everybody has their favorite go-to's when it comes to sickness recovery. My motto is to do what works for you. However, I think there's a balance between doing what you need to do for your body as well as being aware of the side effects that medicinal ingredients can have on your voice. The National Centre for Voice and Speech has an excellent online resource to search that specific information. I tried to focus on these three factors: rest, hydration, and patience. Before Opera rehearsals, I tried to squeeze in time for a nap in order to recharge before a full evening at the the venue. 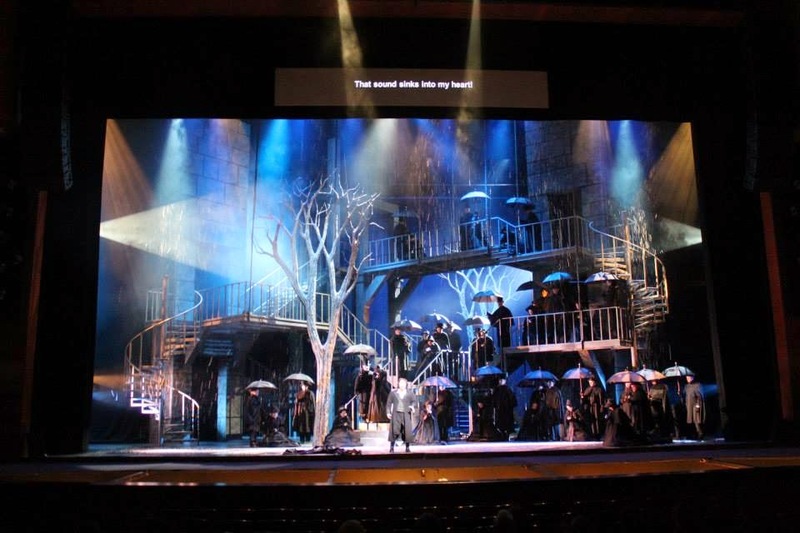 Staging and technical rehearsals require a sustained amount of energy to stay alert for three hours while spacing, props, and music are sorted out as scenes are worked through. It takes a lot of energy to be on call. In order to keep my hydration level up, I kept a water bottle with me everywhere (e.g., bedside, work desk, car, and backstage mirror). I attempted to limit caffeine but sometimes stimulants are needed so, when I did have caffeine, I would keep in mind a 1:2 ratio. For every caffeinated beverage I would have two cups of water - one to cancel that cup and another to hydrate. I aimed to have a net of 6-8 glasses but, since I was on antihistimines, I knew I needed more water because those types of medications can be drying. I would also brew multiple thermoses of non-caffeinated tea so I would have a constant supply of warm beverages and I wouldn't have to waste time by brewing cup to cup. I tried to channel more patience by focusing more on text in rehearsal and refrained from singing, especially for the two days I had no voice. It takes restraint to not sing when there is so much on-stage action and energy. All of this was in attempt to conserve voice for opening night. 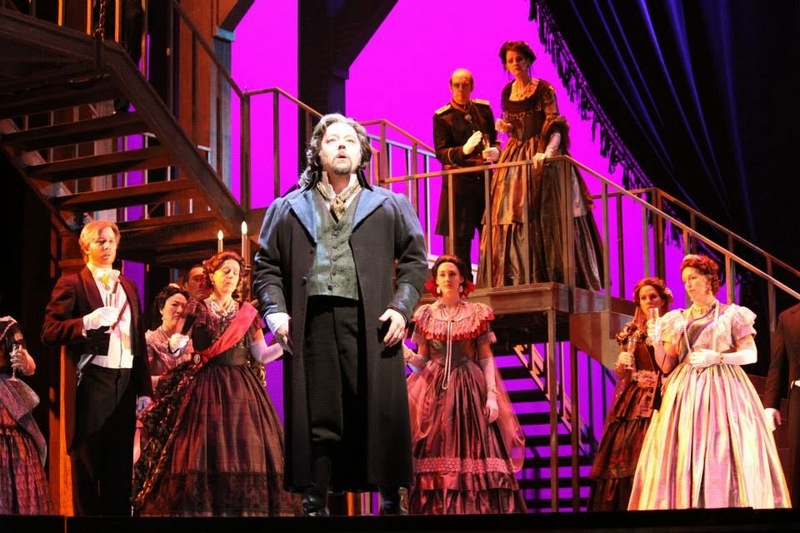 Although I wasn't totally cured by opening night, my voice was back and I was ready to sing. Since I was extremely deconditioned after spending the previous weeks in a fragile vocal state, I had to make sure I had a solid vocal warm-up before the show. The worst was having to stifle dry tickles in my throat during quiet and tense moments in the story. Aside from the battle with recovery, the show itself was stunning. 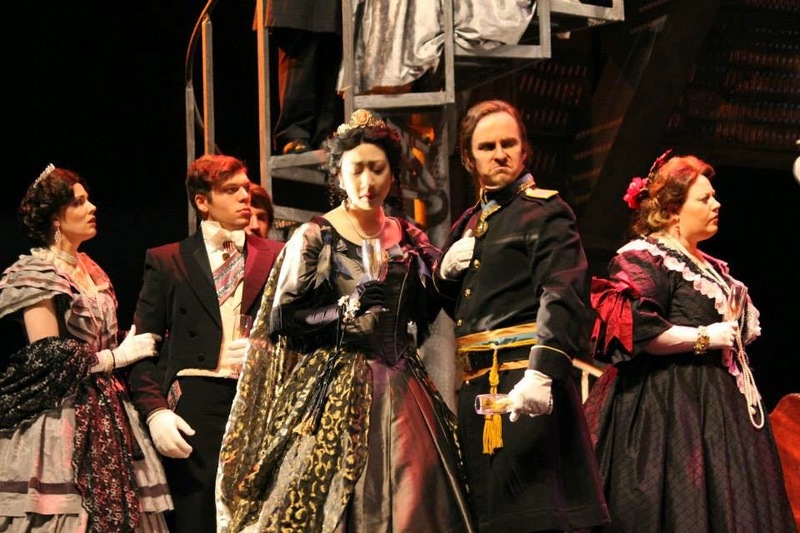 I have heard so many comments raving about the ornate costumes and the stunning staircase set. I had goosebumps every night as I listened to Soprano, Simone Osborne, sing her debut Lucia and mimic the eerie melodic runs of the flute only Lucia could hear in madness. 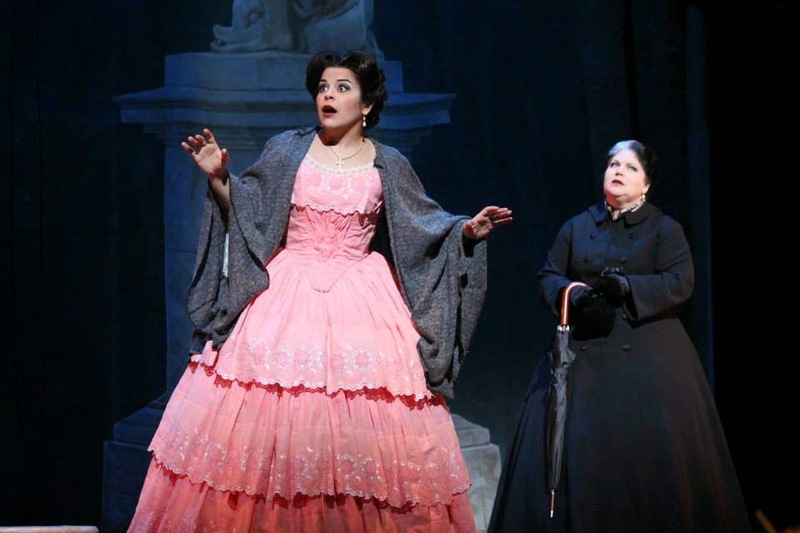 Lucia di Lammermoor was a stunning closer to Edmonton's Opera's season. 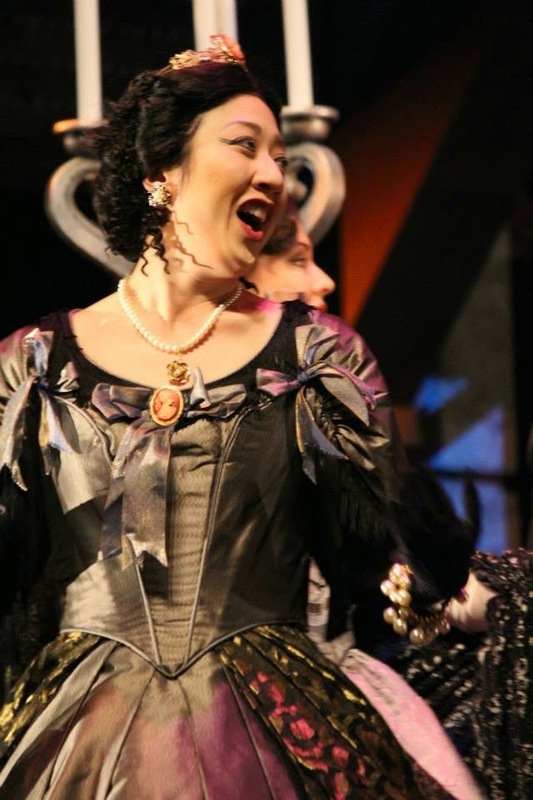 If you haven't looked already, take a peek at the upcoming 2015-16 Epic Scandals season showcasing Merry Widow, Carmen, and Maria Stuarda. Whether I am singing in these productions or in the audience, I can't wait to see these shows come alive on stage at the Jube. Also, visit Patsy Tomkins' blog that has more information behind-the-scenes of Lucia from light-walking the set to finding the right concoction of fake blood for the wedding dress. Hello from a choir girl in Argentina! One of my biggest fears is to get ill for a concert, so the weeks before I take extra care of my health. I've never been part of an opera. It must be so exciting! 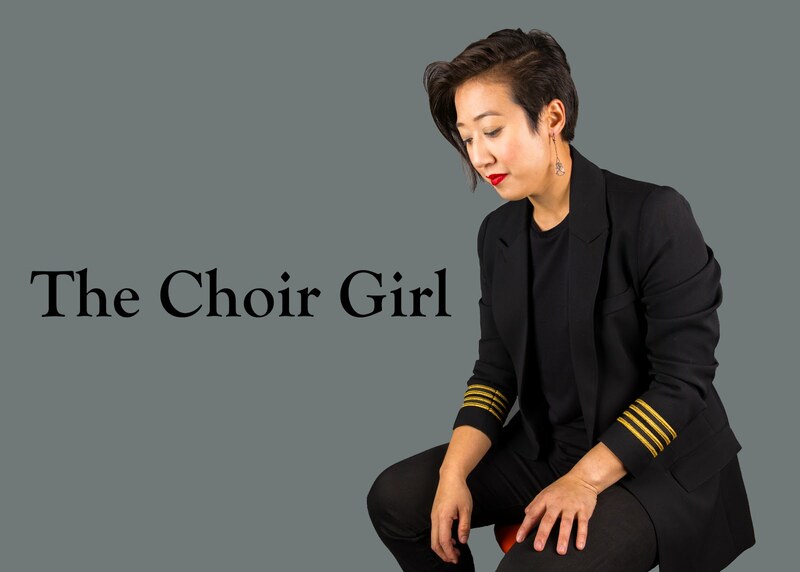 Hello fellow choir girl! How I would love to visit Argentina one day. 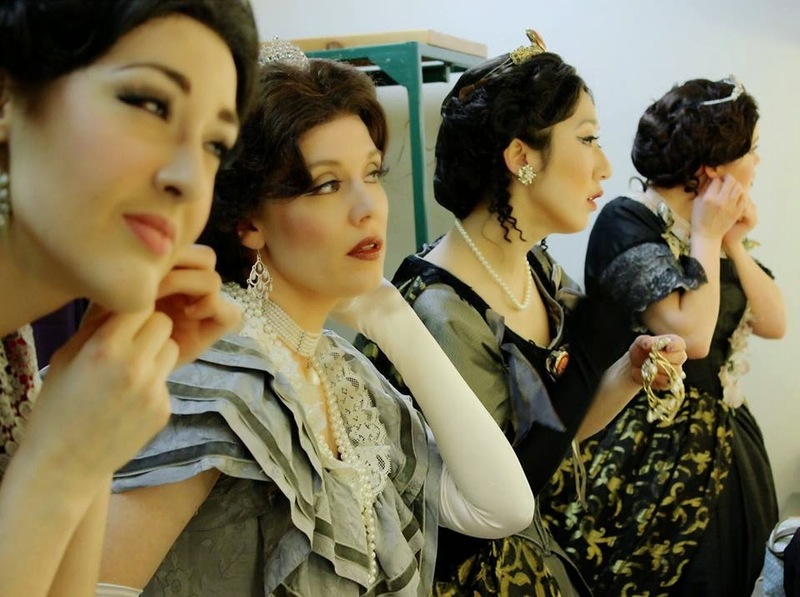 If you ever have the chance to be a part of an opera, I would recommend you take it!